On this page we carry 1" , 2" , 4" , 6" x 150' rolls of HIGH INTENSITY PRISMATIC TYPE 4 reflective tape. This reflective film can be used to mark loading dock areas, bollards, poles, gates, barricades, non DOT regulated trailers and vehicles, etc... This material is normally found on brighter road signs and barricades but can be used in an unlimited variety of applications. High Intensity Prismatic Type 4 tape is 5-6 times brighter than standard engineer grade tape and exceeds all federal and state requirements for Type 4 tape. 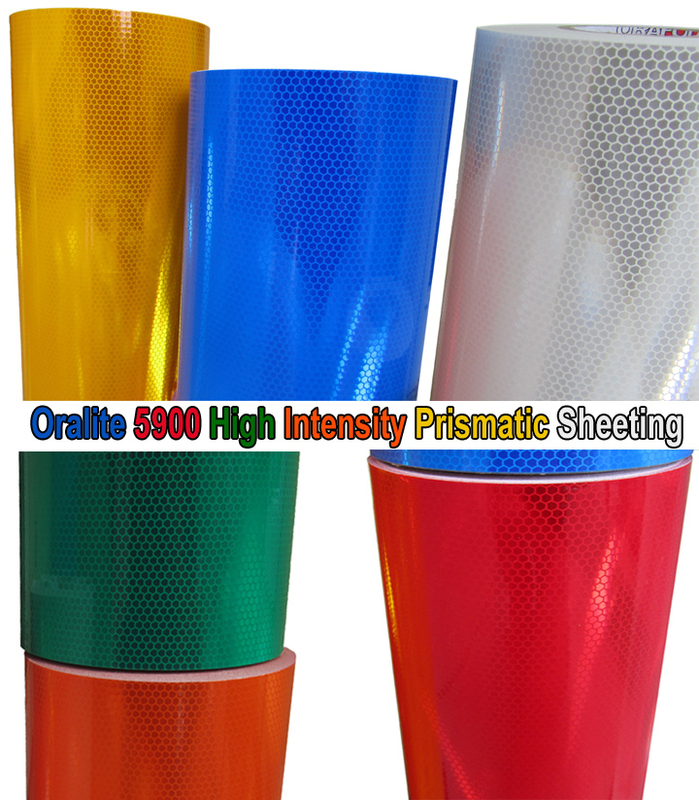 Micro Prisms are encapsulated in a honey comb design thus creating a much brighter and vivid retro reflective tape. This product carries a 10 year outdoor rating. It is easy to handle and resists chipping and cracking. In summary it is brighter, more vivid and tougher than our standard glass bead high intensity tape. You can click here to compare the color and vividness of this product to our glass bead high intensity.